If what we are getting is anything to go by, then, estranged artiste of Banky W's EME Music may have added a new 'mobile home' to his garage. 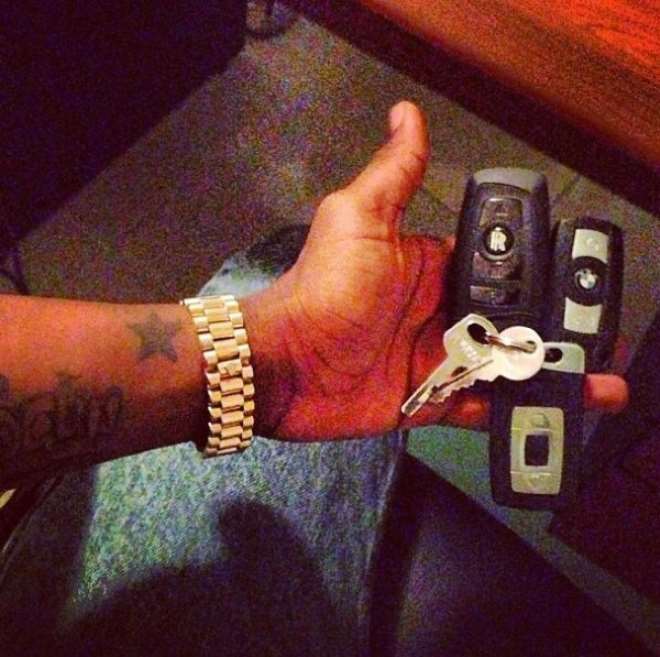 According to reports reaching us, the Star Boy Records boss showed off a Rolls Royce car key on Instagram some hours ago. Wizkid is a proud owner of a BMW car. At the Pepsi tour held at UNILAG, Tiwa Savage and Chidinma posed on a Rolls Royce car believed to be Wizkid's. Banky W recently said that Wizkid is still an EME property. Too Much Love Is Killing This Actors Career! FRANK ARTHUS GOES IMMORAL AGAIN! Where is the Police when you need them?